Stylish femininity, youthful seduction & unconventional sophistication. A classic, yet contemporary fragrance. 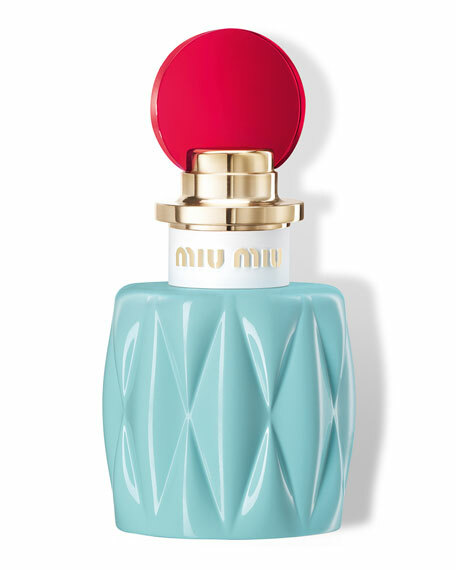 The bottle is inspired by the iconic Miu Miu Matelasse bag. It is timeless with a contemporary twist, colorful & edgy with opaque blue glass, traditional and luxury with a gold logo embossed in a white matte collar. The translucent red top gives a playful and graphic quality. The carton is embossed to echo the matelasse pattern present on the bottle. The overall design provides a youthful and feminine effect. 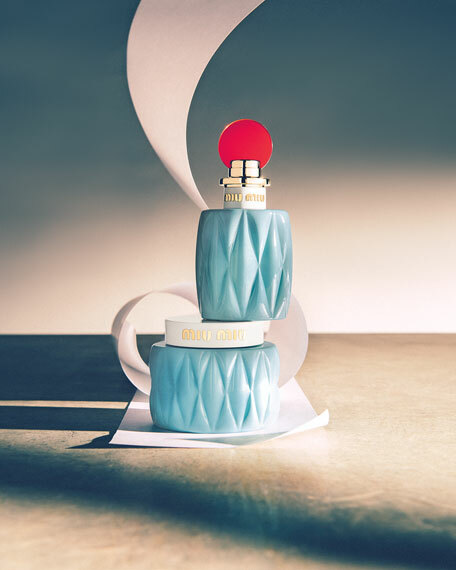 Youthful, colorful, sophisticated, and unique the first Miu Miu fragrance offers a contemporary vision of the Lily of the Valley twisted with Akigalawood. The spirit of the brand is captured in a bottle: a classic with a modern age. For in-store inquiries, use sku #1589506.